Few experiences capture the character of a region more than a visit to a winery. 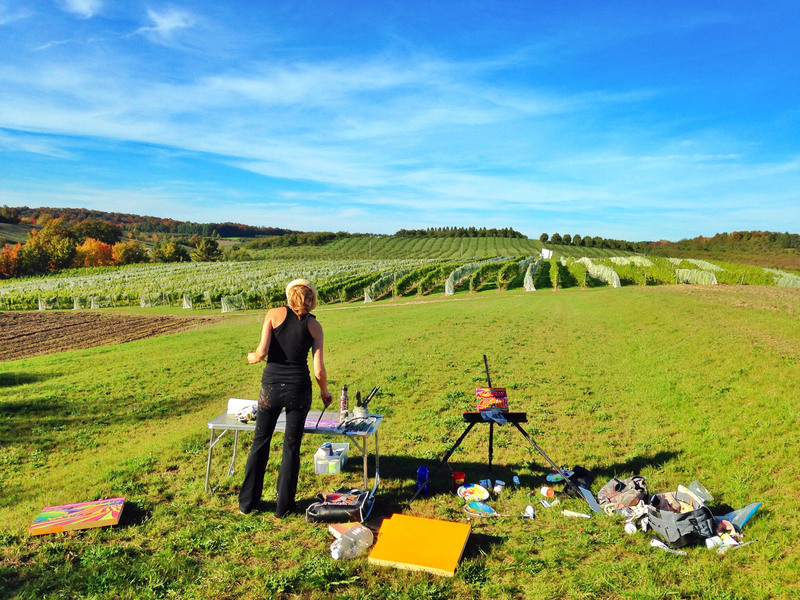 The authentic connection that consumers are making with local wines and local wineries is undoubtedly a major factor driving resurgence of Midwest winemaking. 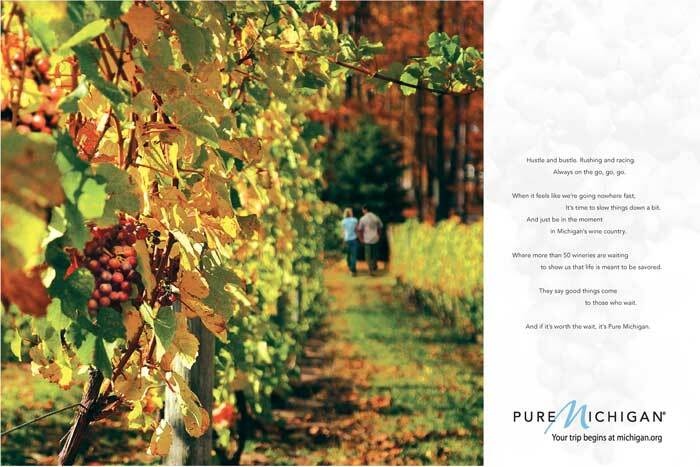 In Wisconsin, winery owner Steve DeBaker, has prevailed in a seven-year effort to establish a viticultural area for northeast Wisconsin that will define and brand this up and coming wine producing region. “The recognition of this specific grape growing region in Northeast Wisconsin will not only establish it as a destination for world-wide travelers, but it will also put our region on the map as one of the great grape growing regions in the world,” said DeBaker, owner of Trout Springs Winery in Greenleaf. Pending likely approval by TTB in December, the new AVA will be called the Wisconsin Ledge AVA. 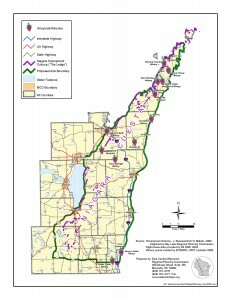 Many of the 120 exhibits that are part of the AVA application explain the unusual geology from which the Wisconsin Ledge AVA derives its name. The Wisconsin Ledge is a rock escarpment that extends from eastern Wisconsin to Niagara Falls. In fact, Niagara Falls spills over the same bed of rock that the new AVA sits on. In eastern Door County the Wisconsin Ledge limestone is as much as 1,850 feet thick. The limestone that forms the Wisconsin Ledge was created by sediment from a prehistoric arm of the Atlantic Ocean called the Niagaran Interior Sea. According to historical author Roy Lukes, countless aquatic shelled animals and corals lived in the 70 degree water of this ancient sea. As a result, Wisconsin Ledge AVA grape vines draw sustenance from mineral rich water that contains the calcified remains of creatures that lived in a Midwestern ocean 400 million years ago. “The Karst features present in the rock substrata, are full of limestone, dolomite, and fine tills that create our own terroir for this special place we call the Wisconsin Ledge. This translates to unique flavors and makes grape-growing in this region different from anywhere else in the world,” De Baker said. The climate of the Wisonsin Ledge AVA is also different from the rest of the state. 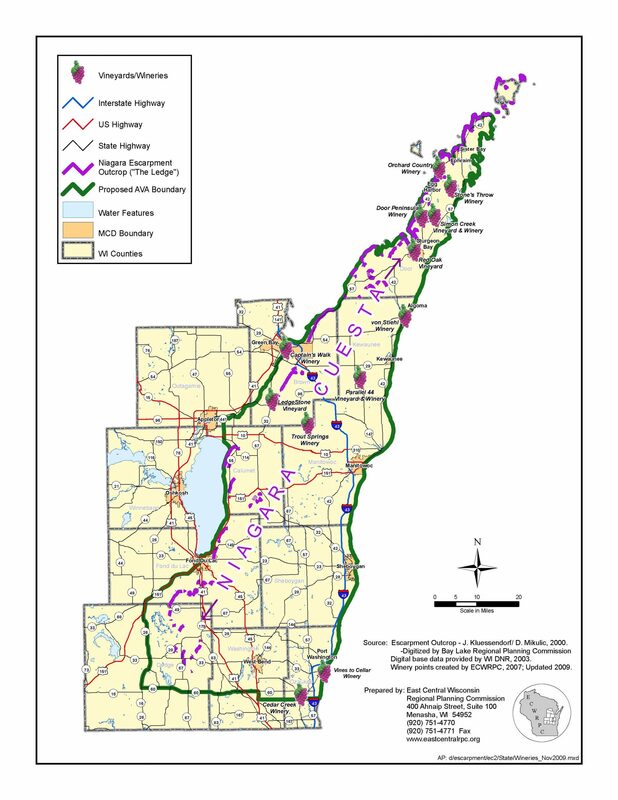 According to the TTB Notice, the marine influence from Lake Michigan, Lake Winnebago, and Green Bay, along with the elevated ledge landform, creates a growing season that is generally longer than other parts of Wisconsin. For example, the growing season in the AVA near Sheboygan on Lake Michigan is 184 days, which is 56 days longer than the growing season in Baraboo which is slightly south, but in the center of the state. Ed Rink of Quinney Estate Winery in Chilton said the certification of the AVA is a primary reason that he will be gradually increasing his acres planted from 4 to 20. 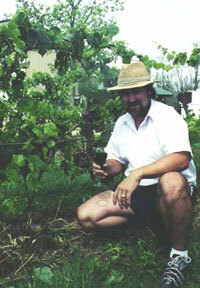 “The new AVA designation will be a major boost to all the wineries with the Ledge,” he said. 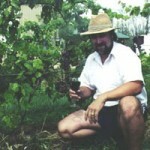 The primary red grape varietal at Quinney Estate is Marquette and the primary white is Traminette, which normally does not grow this far north in Wisconsin.